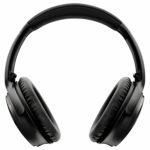 List of top 5 best headphones under 500 that I will show you. They are rather expensive but sound quality and other great functionality make it understand in the price of more than $300. As mentioned, these 5 headsets are quite expensive, so the budget may be a barrier to buying them. Whether you buy it or not. 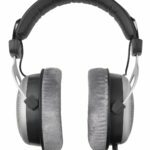 Try to read the brief summary top 5 best headphones under 500, may help in making your decision. Before going to reviews of them, let see the comparison table of these headphones under 500 bucks. Sony Corporation of Japan A leading audio company. There are many interest products as well as such as TVs, audio and also headphones. We are looking at their newest Sony headphones, Sony WH1000XM2 which is one of the best over ear headphones. They are one of Sony’s best digital noise cancelling headphones. They offer an audiophile grade sound quality and comfortable fit. Thanks to smart design have enough amount padding so, they can reduce squeeze from the side of the head. Besides, the designs button use, very intuitive and easy to use, magnificent look and design. The good thing about WH1000XM2 is they can check the level of the battery via smartphone. However, I feel that they still cannot tell the battery level precisely. However, I’m still happy with this function. Another new feature Sony WH1000XM2 better than the Bose QC35 is a touchpad. The WH1000XM2 has but QC35 not. There is one thing I don’t like which is this headphone can’t connect two devices at the same time. So, you need to disconnect one device to use another device. While Bose QuietComfort 35 II they can connect two devices at the same time. The headphones also provide a great Bluetooth connection. Signal strength can cross through the room. Signal strength can cross through the room without breaking the connection. All of this. The best thing that I like very much is they have excellent active noise cancelling. Many users say that the Sony WH1000XM2 is better noise cancelling than the Bose qc35 II. 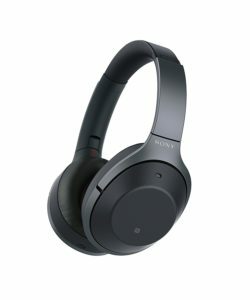 The Sony WH1000XM2 is available in two colors. You can get them in black or gold. Digital noise cancelling so great. Sturdy design and easy use. Long Battery Life up to 30 hours. Can’t connect two devices simultaneously. Now, Sony issue new series is Sony WH-1000XM3. The HiFiMan is a company to hard working to reach out to customer’s satisfaction. They have produced many quality headphones and several prices. 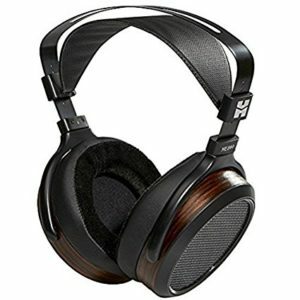 The HifiMAN have headphones under 300 like HiFiMAN 400i or premium headphones under 3000 like HiFiMAN HE-1000. 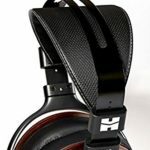 The HiFiMAN HE560, best headphones under 500 from HiFiMAN, is a headphone that can bring your listening experience to the next level, a great sound quality which will not disappoint you. The cable of HiFiMAN HE-560 is made from high-quality materials (combined with crystalline silver and copper) which make it even look gorgeous. There two things that I don’t like is they are not wireless and they are open-back style. Hence, they do not come with noise cancelling. While you listening music from this headphone, you will hear noise from the outside. With these reasons, the headphones are designed ideal for use in studio or home. 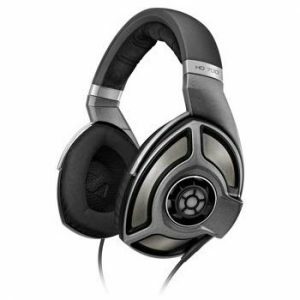 The HE-560 also using single-driver and beveled ear pads. Surely they provide more comfort as well as improved sound quality. The sound experience of HiFiMAN HE560 never disappoint. Because of its planar magnetics headphones technology, distortions are never present. The bass is excellent, the soundstage is wide and open, the mids are spot on, and the treble isn’t held back. Light-weight (weight less than 30% compared to other planar magnetics). Full size planar magnetic design so, more comfort. 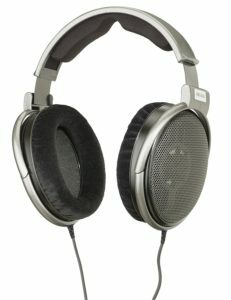 The third best headphones under 500, Sennheiser HD 650 Open-Back Headphones which made in Ireland. Mention the sound quality and overall performance, the great thing about HD650 is Neodymium ferrous magnet systems. They deliver maximum efficiency and ensure exceptionally dynamics response and optimum sensitivity. Although HD650 headphones sound quality is great. However, you do not have good enough sound quality as the ability of these headphones if you do not give them enough power. So, you might use it with an amplifier which gives enough power. 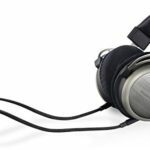 if you want to buy the Sennheiser HD 650 to use with your smartphone, you may want to try looking for other headphones. The sound quality is very good, high-mid-bass are balanced. Onto the design, although the Sennheiser HD 650 has look concepts are quite ancient, they still have a look elegant with a titanium-silver finish. Caution, if you are expecting big bass with Sennheiser HD650, then these are not good for you. If you just want a precise, immersive listening experience, these are some of the best headphones under 500 for you. Keep in mind that, the clamp may feel stiff at first. But it will be better after use for 1-2 months. After this period, feeling comfortable that the head clearly. Another thing about HD650 is they are open-back style, so a sound leak is ordinary. Cable detachable which made from high-quality material. Optimization for recording high resolution. Neodymium Magnets System provide maximum efficiency. Sound leak out due to they are open-back headphones. This headset is exquisite-made and advanced listening type of headphones. The Sennheiser HD700 is style open-back and circumaural dynamic stereo headphones. The comfortable fit and durable are definitely something for them. They design to maximum wearing comfort with their ultra comfortable and deluxe earpads. The soundstage is so exquisite and spacious, it’s wide, deep and precise. They have audio performance are finest. The 700’s mids are still beautiful sound and highly balanced treble. However, someone doesn’t like it. Because the sound that may hear from this headphone is a bit too pierce on some track. Keep in mind that Sennheiser HD700 not suitable for use while wearing glasses. Because you will not get sound quality as features this headset provides. Due to HD700 is an open-back headphone, so has isolate performance not so good. They cannot complete block ambient noise. Also, they are a large size that and a bit more weight. For reasons mentioned, this headset is ideal for indoor. If you are someone who likes to listen to music on the stereo in your home, the Sennheiser HD700 is suit for you. If you want to know how different between HD700 and HD650. The obvious thing is apparently they larger and more weight than HD650B. This headphone weight is 0.9lb but the HD650 weight only 0.57lb. The Sennheiser HD700 has Magnetic Ventilation System to reduces air turbulence but the Sennheiser HD650 don’t have. High sound quality and impress feel with braided cable 3 m.
The last one of best headphones under 500, we are talking headphones from Bose. The Bose is one of the few companies that is known for its revolutionary sound. Bose, famous well in the audio industry, particularly in the field of Noise cancelling. 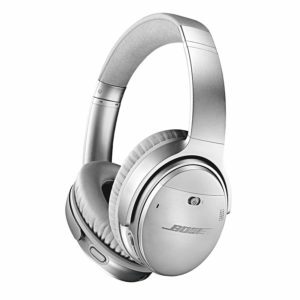 Bose create perfect noise cancelling headphones that is Bose QC35 and lastest model is Bose QC35 II. In fact, Bose QC35 II is not much has changed from Bose QC35. The almost main feature of them is the same. They are also made of the same material, they both are excellent active noise cancelling, comfortable fit and control. Colour (black & silver) and design. Long battery life – 20 hours. Access google assistant (and Siri). 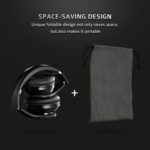 Control active noise cancelling from your headphones. Multiple levels of noise cancelling. New mode (Bose QC35 II) is a bit more expensive than original mode (Bose QC35). 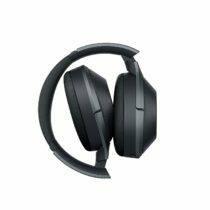 Bose has reduced QC35 prices slightly (about $20) after they are the release of QC35 II. If you do not have both. Just add a little more money to the Bose QC35 II, to get more features. If you have a Bose QC35 in our opinion, no need to purchase the new one of QC35 II. The important thing that you should know both of them are expensive, but their price is reasonable because they are from Bose. Great Battery Life (20 hrs) and up to 40 hrs in wired mod. Strong and beautiful carry case. Ability Connect two devices simultaneously. Very light-weight (only 0.52 lb). Costly, but decent price with premium quality.